Cricket grounds can be as individual as cricketers. The erstwhile WACA in Perth, for example, evokes memories of steep bounce and brazen pace; the Gabba at Brisbane is a fortress where Australians have preferred to draw first blood (their win-loss ratio of 4.75 is the third-best by any country at any venue); MCG on Boxing Day can be as terrifying to the opposition as overwhelming; and SCG welcomes the New Year with more colour than perhaps any ground in the world. Of the major Australian grounds, Adelaide Oval is perceived as the serenest, though it not very clear why. Despite this relative amicability, however, India have done poorly here. Their win-loss ratio (0.142) is their second-worst in Australia (they are yet to win at Brisbane). Few expected India to compete in their first tour after Independence, against Sir Don Bradman’s men, more so after Vijay Merchant, Mushtaq Ali, and Rusi Modi all opted out. As expected, they were blown away at Brisbane and Melbourne, though rain saved them at Sydney. At Adelaide, Sydney Barnes (112), Bradman (201), and Lindsay Hassett (198*) took Australia to 674. 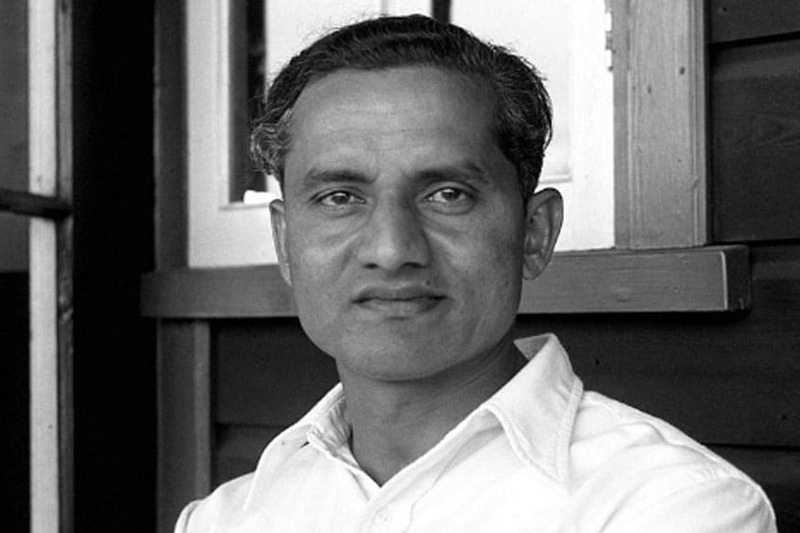 Amidst all this, Hazare bowled Bradman for the second time in the series. 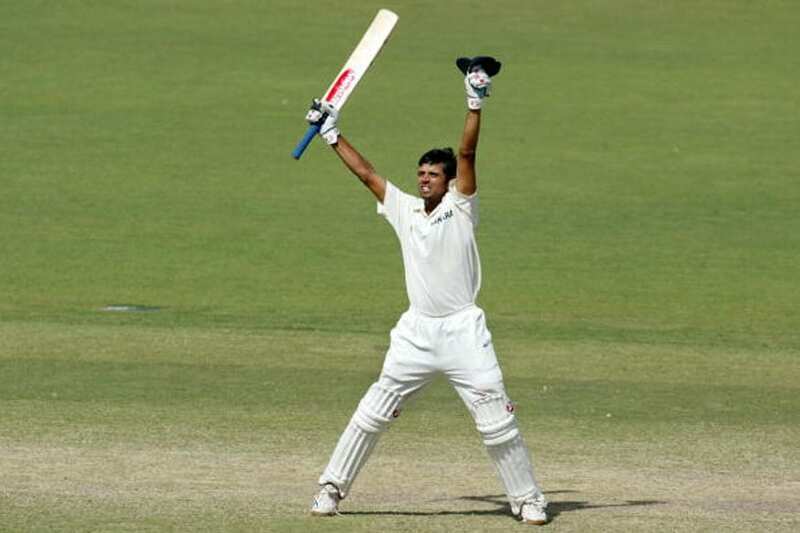 Then he scored 116, adding 188 for the sixth wicket with Dattu Phadkar (123). He fell on the fourth morning but had to emerge an hour later, after Bradman enforced the follow-on and Ray Lindwall reduced India to 0/2. This did not bother Hazare, who became the first batsman to score hundreds on consecutive days of a Test. This time he scored 145 but was unable to save another innings defeat. On his return he was congratulated by a beaming Clarrie Grimmett, who had coached him in India a decade ago. Debutant Abid Ali fielded magnificently at Adelaide as he would do throughout his career. He also took 6/55 (including both Bobby Simpson and Bill Lawry) in the first innings; got another in the second, and scored 33 in each innings. In over 14 decades of Test cricket, Albert Trott (in 1894-95) is the only other cricketer to cross 30 twice and take 7 wickets on debut. But Surti, the senior all-rounder of the side, had no reason to feel threatened. He scored 70 and 53 and punctuated it with a second-innings 5/74 that included Bob Simpson and Ian Chappell. The next season he became the first Indian to play Sheffield Shield, for Queensland. The Kerry Packer-hit Australian side was probably their third choice XI. Even then, they got off to a 2-0 lead before India levelled the series. In the decider at Adelaide, Bhagwat Chandrasekhar took 5/136 in the first innings and Bishan Singh Bedi 4/53 in the second. Karsan Ghavri got 3/93 and 4/45. Gundappa Viswanath scored 89 in the first innings. A target of 493 seemed near-impossible, but it had not even been two years since India had set a new world record for the highest chase. More importantly, Jeff Thomson would not bowl in the fourth innings. 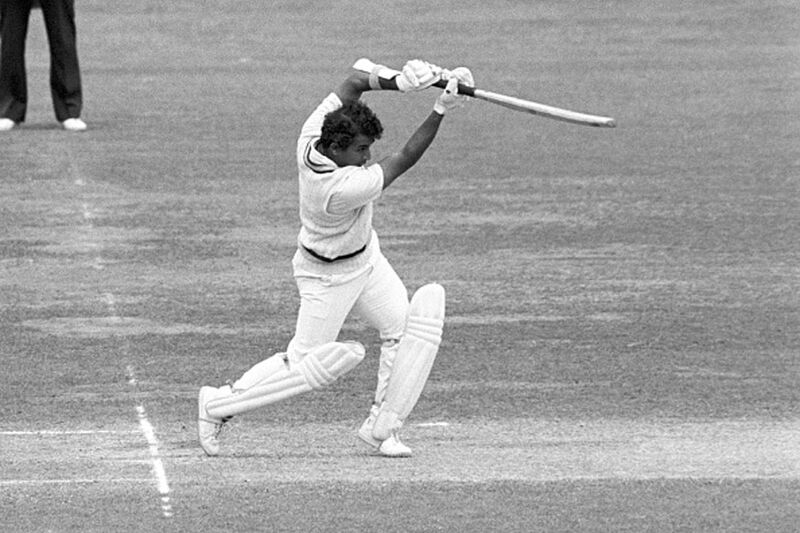 File image of Sunil Gavaskar playing a shot (Getty Images). Sunil Gavaskar and Chetan Chauhan set the tone, adding 40 in half an hour. Mohinder Amarnath (86), Viswanath (73), and Dilip Vengsarkar (78) all contributed. At 323/4, it was India’s match to lose. Then the fortunes began to swing at an alarming rate. Bruce Yardley struck twice in quick succession. Syed Kirmani (51) and Ghavri took the score to 415/6 before they both fell. The Indians still refused to give up. EAS Prasanna and Bedi, bona-fide tail-enders both, added 25 before the chase ran out of steam. Simpson, who had come out of retirement to lead Australia, had already scored 100 and 51 and fielded with a broken finger. It was only fitting that he rounded things up – on his 42nd birthday. The Australian champion side was still a work in progress at this point. Not willing to take risks, they dished out a flat – if slightly green – pitch. Then they laboured for almost two days to score 381. 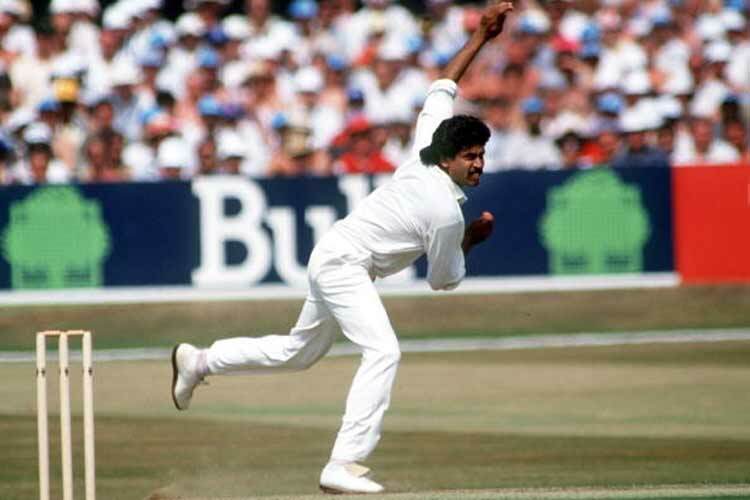 But the pitch could not deter Kapil Dev, who was known for bowling fast, long spells. He squared up David Book to induce an edge; hit Greg Ritchie on the box and almost hit him with a bouncer before dismissing him; and beat Craig McDermott with a fast full-toss. Kapil bowled 38 overs and finished with 8/106, still the best overseas figures by an Indian in Australia. He took the last 5 wickets in 21 balls. The series was dominated by the bat to an extent that only 25 wickets fell in each of the Brisbane and Sydney Tests. Both sides crossed 500 in the first innings at Adelaide, as did Australia at Melbourne. All that makes Ajit Agarkar’s 6/41 on the fourth afternoon of the Test even more special. Of course, there were Rahul Dravid (233 and 72*) and VVS Laxman (148 and 32), as they had been at the Eden Gardens three seasons ago. In the first innings, they added 303. And during the 230-run chase, Laxman’s 34-ball 32 prevented any chance of a trademark Indian collapse. But all these were achieved on a pitch where the first-innings totals were massive. Till that point, every Test with two first-innings 500s had ended in draws. Agarkar’s spell converted an inevitable draw into a result. He started with Justin Langer (whom he would dismiss five times in the series), got Ricky Ponting shortly afterwards, and returned to pick up the last four wickets. This was the venue where his much-ridiculed run of golden ducks had started five seasons ago. Fittingly, he was at the other end when Dravid hit the winning stroke. Sachin Tendulkar had stamped his authority in every Test of the series. His counterattack in Melbourne had produced 62. He demonstrated a voracious appetite for runs in Sydney for his 154 not out. And his 71 in Perth included four audacious uppercuts for fours. But the 153 at Adelaide, in Adam Gilchrist’s farewell Test, was perhaps the best of the lot. In his fourth outing at the venue, he showed Adelaide what the fuss had been about. He took his time before the fours started flowing. Then he took control, driving back past the bowlers, paddle-sweeping, and placing with precision outside off. There were also sixes, three of them. The series, culminating in this masterpiece, laid the foundation for the second great peak of his career. The other great innings of the Test came from Virender Sehwag. 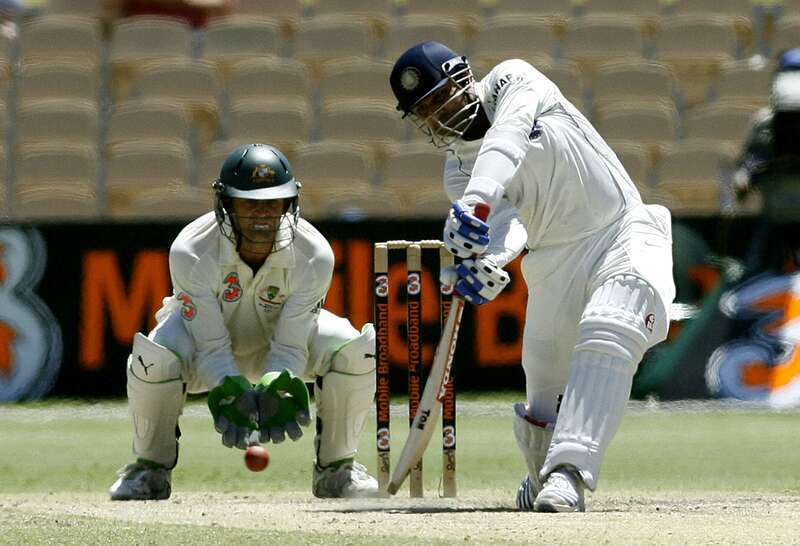 Dropped from the England tour earlier that year and the first two Tests in Australia, Sehwag had scored 29 and 43 at Perth and 63 here, but his role in the match was far from over. None of the Indians then went past 20 after they conceded a 37-run lead. If the extras are taken away, they lost seven for 92 (eight, technically, as Dravid had to retire hurt after Brett Lee broke his finger). Sehwag got 153 in 236 balls. This was unlike most Sehwag innings, for almost a hundred of these came in ones and twos. The Test was saved by an unfamiliarly cautious, but far from defensive, avatar. Sehwag had reclaimed his position. The 2011-12 Test turned out to be the last for both Dravid and Laxman, but neither of them did remotely close to their feat here nine seasons ago. India lost the Test by 298 runs and the series 0-4 – but there was something to rejoice. There had been little doubt over Virat Kohli’s immense talent, but he was yet to play that one innings that would make him a permanent fixture in the Test side. That happened here, after Australia declared on 604/7 and reduced India to 111/5. Virat Kohli blunted the pace attack without ever going into a shell. There was caution, but he was severe on anything loose, challenging the Australian pacers for the first time in the series. There were nerves and sledges, but amidst all that, Kohli brought up the only hundred in the series for India. He was last out for 116. With 300 runs at 37.50, he topped the woeful Indian batting charts. Three seasons later he returned to score 692 runs at 86.50 with four hundreds, a series record for any Indian in Australia. MS Dhoni’s thumb injury had put Kohli in charge of the Test side for the first time. 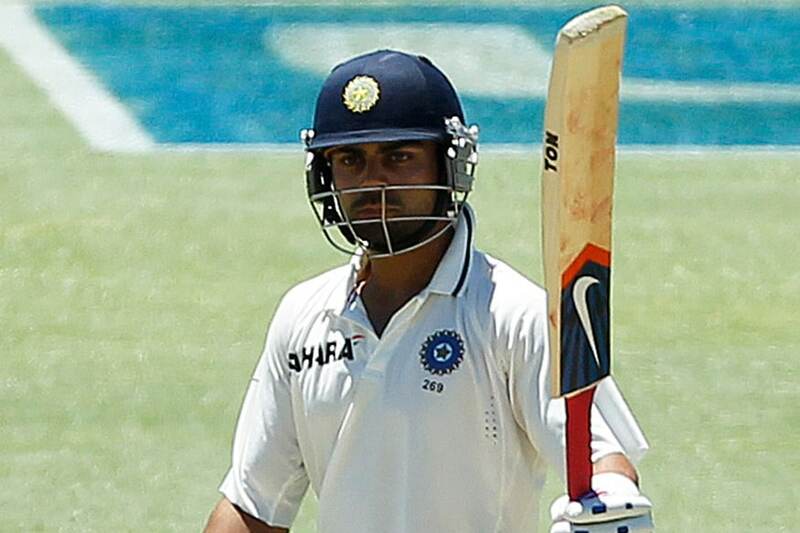 India responded to Australia’s 517/7 with 444. Kohli was hit on the helmet by Michell Johnson, but his 115 on captaincy debut was the highest score among several decent Indian efforts. Then David Warner celebrated a second hundred in the Test, culminating in poignant celebrations in the aftermath of Phil Hughes’s tragic demise. To everyone’s astonishment, India went for the target of 364 in 98 overs. Murali Vijay followed his first-innings 53 with 99, but his effort was almost eclipsed by Kohli’s brilliance. This 175-ball 141 was easily the finest of his three Adelaide hundreds. The attack was world-class. The pitch deteriorated as the day went on. The third-highest score was 21. But the thought of a draw never seemed to cross Kohli’s mind. The Australians could not stem the flow of runs, let alone get his wicket. Those steely wrists invariably punished them whenever they erred. He eventually mistimed a pull to deep mid-wicket. Somewhat counterintuitively, India kept the chase on. Their last three wickets fell for 11.